Showing results for tags 'super mario 64'. Ackatos posted a topic in Post Your Game ReMixes! EdmanXERO posted a topic in Post Your Game ReMixes! Hey, everyone. Finally I got around to posting one of works on here. I'm pretty satisfied with how this came out, but I'm always striving to get better. Let me know what you all think! BlueJackG posted a topic in Post Your Game ReMixes! Here's an HD remake of "Hazy Maze Cave". People seem to like it. It's not a "remix", but it could be used in one if you guys want it. 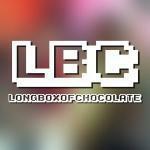 LongBoxofChocolate posted a topic in Post Your Game ReMixes! legacysessions posted a topic in Post Your Game ReMixes!